Don’t get me wrong, we’ve stayed in hostels before, but we never really saw the need to lug all our gear around on our backs & always found suitcases to be a good enough way to get our gear from A to B. This trip is different altogether though… were going backpacking through Southeast Asia. Just like any other holiday, we need all the usual necessities for day-to-day life – but besides all the normal stuff, what else do backpackers take with them on the road? Are we outside of the backpackers inner circle? Could there be things we don’t know about that backpackers never leave home without? What secret possessions do they have buried in their packs, hidden from view, that makes their life on the road easier or more comfortable? And probably a more important question… What should we leave behind? as every item packed… literally adds weight to our shoulders as we pull, carry & drag our backpacks around Southeast Asia & Europe. So after doing a bit of research online, in travel stores & asking a few friends… we bought all the things we hope will get us through multiple months of living abroad out of a backpack. As most people recommended – I packed light. 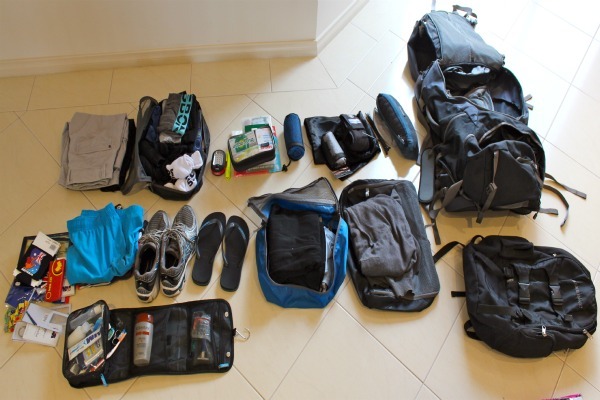 Heres our checklist of travel gear we left home with – including stuff recommended by friends and other backpackers. With huge savings on travel gear during the post x-mas sales we got our travel backpacks at a discounted price from the Macpac store. We tried on most of the well-known packs before we went with the Macpac packs. They get great reviews & they have all the features we need in a travel backpack. What we were most concerned about when buying our backpacks…. 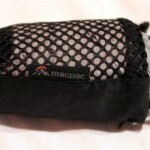 The highest selling Women’s Macpac – its big enough for all Anna’s gear including make-up, shoes, hair straightener etc, but small enough for her to carry on her own. Overall my backpack is quite comfortable and functional. Even through it was a backpack primarily for women, the middle strap that goes around the waist was still a little big, which means that additional weight is being carried on my shoulders – rather than my hips. At 60L (and well and truly full) I’m able to get around in small stints with my backpack (i.e. to trains, taxis, hostels etc) but certainly couldn’t take it with me on any significant walks like a trek for example. A great tip I received before leaving home, was to pack all my clothing in individual packing cells. I was able to fit all my clothes in 3 organised cells, and one additional cell for shoes. This made packing, unpacking and locating items within my pack really simple, and by ‘rolling’ many of the clothing items for storage in a cell, it helps to prevent your clothes from wrinkling. As the name suggests its an 85ltr pack, which when all my gears inside and zipped up, still has a decent amount of room for anything I might pick up along the road. 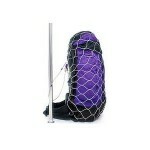 Its made from thick & durable canvas, is comfortable and all the zips are lockable. The guys at the Macpac store in Perth, were super helpful & really friendly, so I’d definitely recommend Macpac to anyone traveling for the first time & unsure of what to look for in a travel backpack. 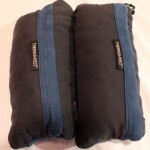 We use Thermarest travel pillows that compress & roll up small to save space. We’ve had these guys for awhile now and we Never. Never. Leave Home Without Them. We’ve even been known to throw the hotel room pillow on the floor in favour of using our travel pillows to sleep on. There small but there comfortable. You’ve been on a mammoth bus trip, travelling all day with multi stops, bus changes, the works. You arrive at a dodgy looking hostel late at night & the bedsheets look “questionable” you peel back the sheets to inspect whats lurking beneath… the mattress makes the sheets look like they should be in a Hilton. Its late, your tired, frankly you’re pissed off. But you have your sleeping bag sleeve – you can slip into your silk sleeve and still get a restful nights sleep + avoid all contact with the offending sheets & mattress. Considered unnecessary by some, when I read about these online I knew I had to take one on my travels. These fancy stainless steel devices come in handy for keeping prying hands away from our gear when we leave our travel backpacks behind to go on multi-day treks. When we leave our bags behind in Chang Mai for example to go trekking, I will sleep easier at night knowing our packs are safely locked up tight and our gear is as safe as we can reasonably make it without getting extreme. You might decide you don’t need a Pacsafe 85L Backpack Security Device to keep your gear secure but I travel easier knowing I have one if a situation comes up where I think I might need it. The iPhone is fantastic, not as user friendly as an iPad, but still helps if were in a jam & need to book last minute accommodation. First day we got to Bangkok we each bought a pre-paid sim card (I use AIS for my iPhone 4 – but they don’t make a sim for Anna’s iPhone 3 – She had to go with Dtac) so we can make phone calls & use data at a much lower rate than if we used our Australian provider. A bonus with the iPhone 4 is I can “tether” it to my iPad and my laptop so I can use the data from my phone across all of my devices. 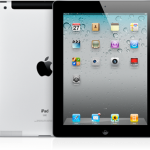 “The iPad is a godsend for the modern traveler. Much more user friendly than the iPhone, but still small enough to throw in your daypack and carry around town without becoming a nuisance. Ours comes with us just about every time we leave our room to go exploring. It would be pretty hard to keep our travel blog updated without a good laptop. This was a spur of the moment purchase in Hong Kong & to be honest – it’s one of the best things we ever bought. What we thought was Initially just going to be another toy – turned out to be one of those genuine “why the hell didn’t we do this earlier” moments. You don’t need to have a passion for photography to use one of these cameras. But let me warn you… you’re likely to develop one when you see the kind of photos you can take with this camera . The quality of images you can capture with this camera compared to you’re everyday “point & shoot” is unbelievable. We bought ours with a kit lens (so we got the camera & lens together as a package) which on reflection was a mistake. If you want a DLSR camera for travel you’re probably best to buy the body (the camera) on its own and a suitable lens for travel photography separately. 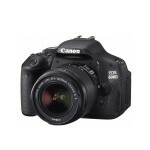 We can’t recommend this camera enough to people looking for an entry level camera. We just bought a 18 – 135 lens which is an entry level lens (suitable for this camera) and gives us a ton more zoom than the original 600D kit lens. We should have opted to buy this lens (rather than the kit lens 18-55) when we bought the camera. You an learn more about digital photography here. 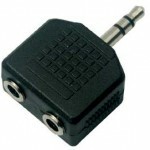 This handy little device enables us to listen to the same movie/music from either our iPad/iphone/laptop at the same time without having to share one set of earphones & comes in particularly handy for long road or air travel. iPhones & iPads are the modern traveler’s “swiss army knife”. The ability to book flights and accommodation & even research your next travel destination from anywhere, at anytime, has never been so convenient. We use both an iPad & iPhone to stay connected to the web – and have found a few apps that really make life easier on the road. 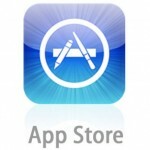 Heres a list of apps we found to be useful for travel, some are paid, some are free, but all of the apps listed we use often for making bookings or general travel research. The other item that came in really helpful was having a ‘hanging’ toiletries bags with multiple sealed clear plastic sections – so I can easily find what I’m after as well as stop any leakages from spreading into my backpack. Before I left I also transferred any face creams that were stored in glass or heavy packaging into light plastic bottles and containers to reduce weight. Much of the additional weight in my pack came from toiletries including shampoos and creams – something I wasn’t prepared to risk not being able to find in Asia – it would have been different if we were travelling to Europe first. Marc, it’s good to see you packed your Kerastase, to keep your lush locks in good condition. Cheers for this run-through! I’m travelling through central america alone for a few months and definitely took away some tips from this! Thanks Emily, South America is def on our list… were working on adding some other helpful stuff to the resources section in the near future so keep an eye out for that. Enjoy your travels. Ive read your very helpful information on backpacking gears. What I would like to know is, where you purchased your individual packing cells from? I think there a great idea. We bought ours from Kathmandu (they’re so helpful) maybe try getting them online? My name is KC Owens, I’m a college student and I love to travel! While cruising the Internet, I found your site and really enjoyed reading your posts. I have been to countries all over Europe with just my backpack and a camera. Since I am a college student and I have significant bills, it can be difficult to find ways to travel the world. However, I have done this several times, with less than ten pounds of luggage and while on a college dime! I was hoping that you would allow me to write a post for your blog to share my tips and tricks with your readers. I put a lot of time into my traveling, it is my biggest passion and I would love to inspire others by sharing my stories, mistakes and triumphs. I look forward to hearing from you! 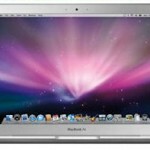 Great list guys, glad to see someone else taking as much tech as we do! And how important is the headphone splitter??!! If you have any thoughts on our list they would be much appreciated! 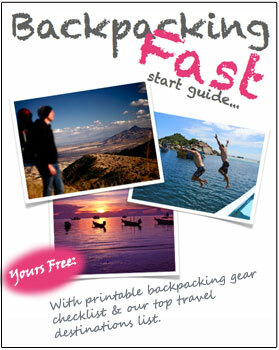 These are very useful information and tips for backpacker. Next post: Bangkok Thailand – Foodies Paradise or Just Another Dirty Capital City?